The bank on the new riverside across from Phnom Penh on Chroy Chang Va is nearly complete. 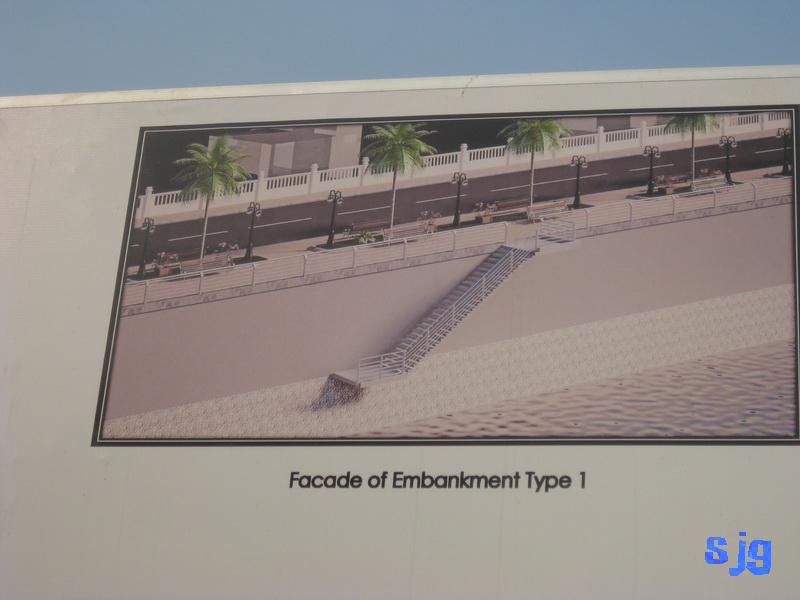 The twinning of the Japanese bridge should be done too this year. 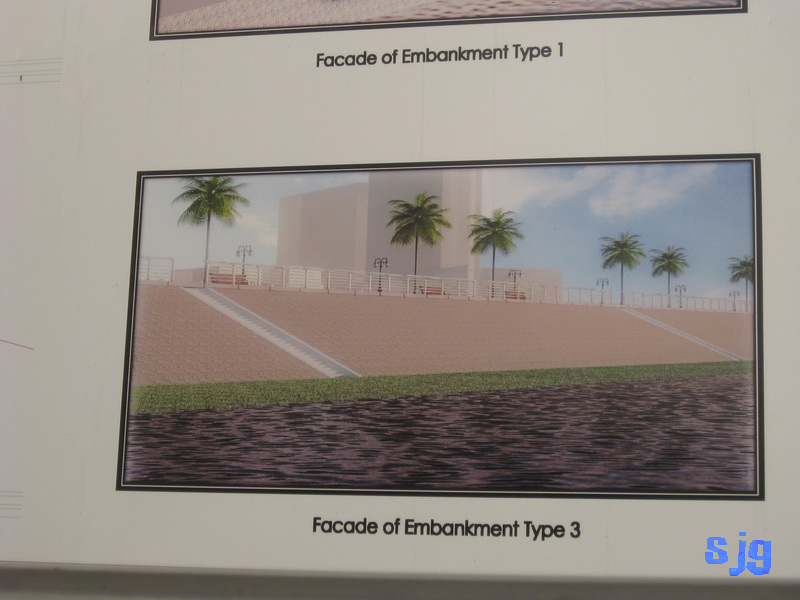 Does that mean a new riverside will spring up? 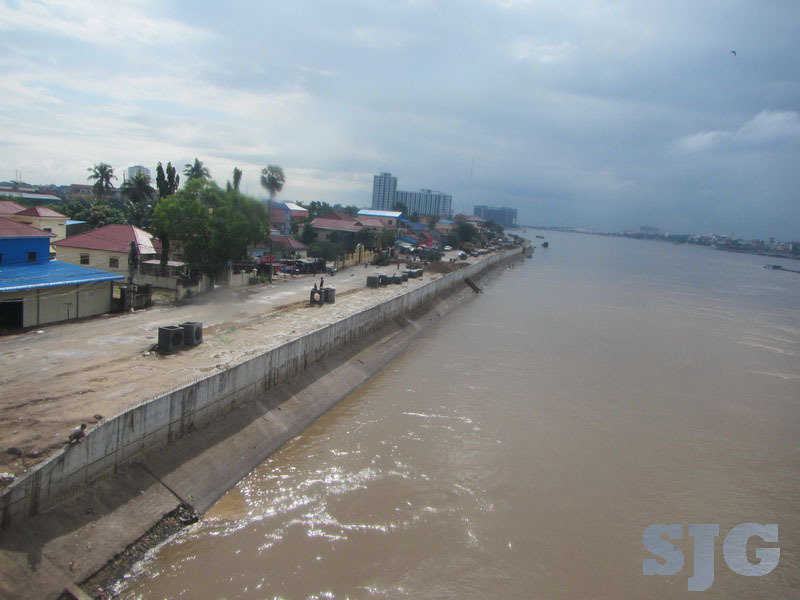 Dry season and Tonle Sap is low. 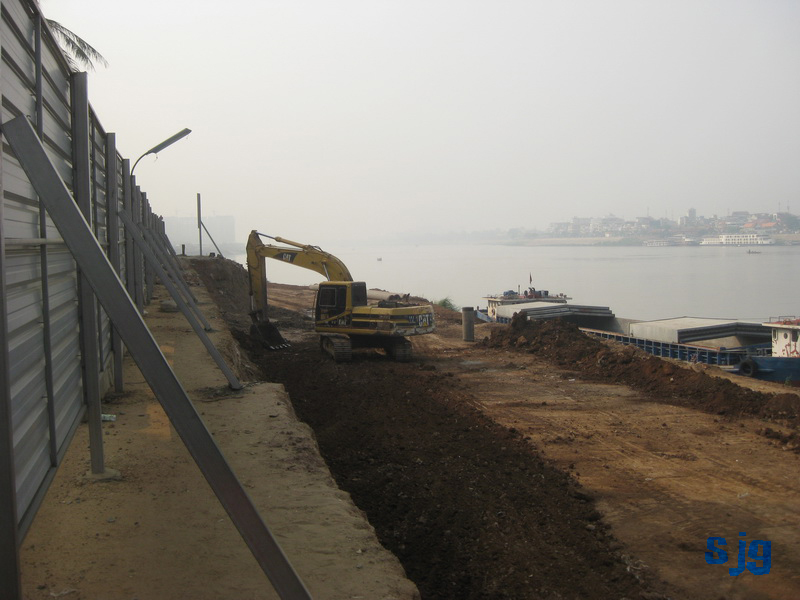 A good place to dig for filler. 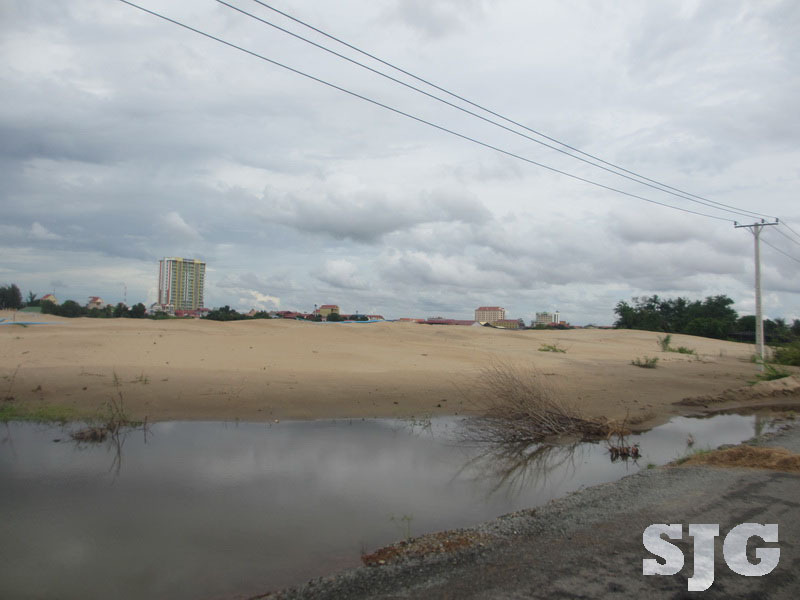 On the Chroy Chang Va peninsula east of highway 6 they have been filling in the swamp area with sand for the last year. 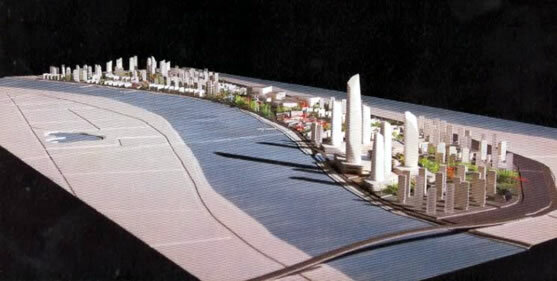 This is the area of the Chroy Chang Va Satellite City project, if indeed this is still the plan for the area. 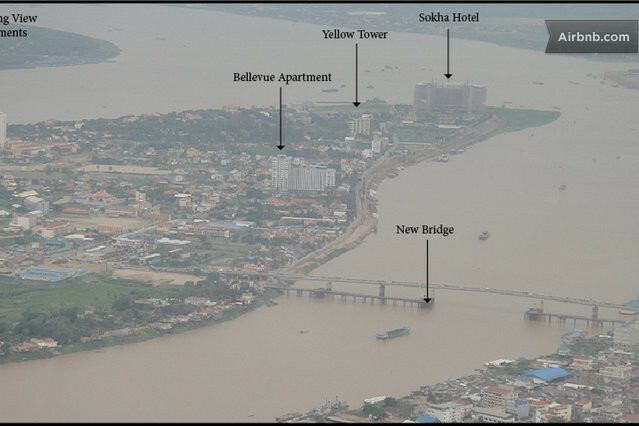 View from last February when nothing was happening. 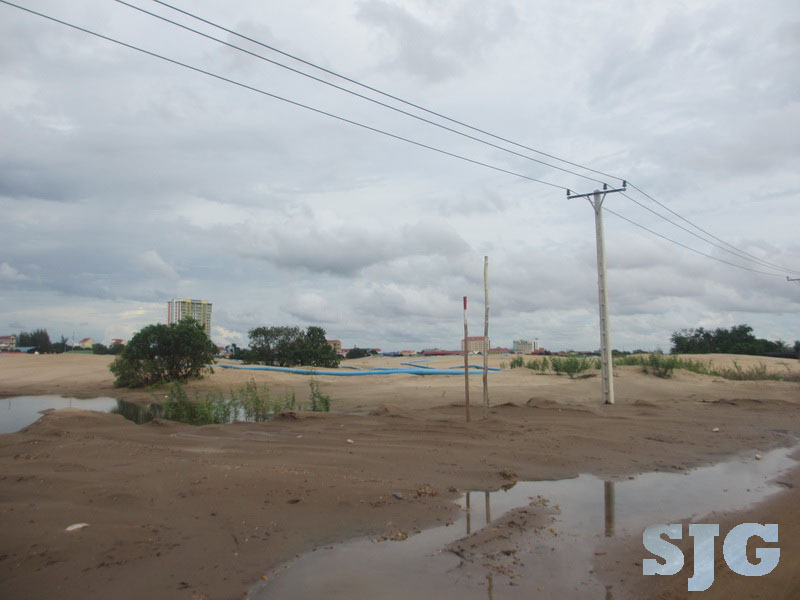 The area where they are filling in sand is further south than can be seen in the picture. 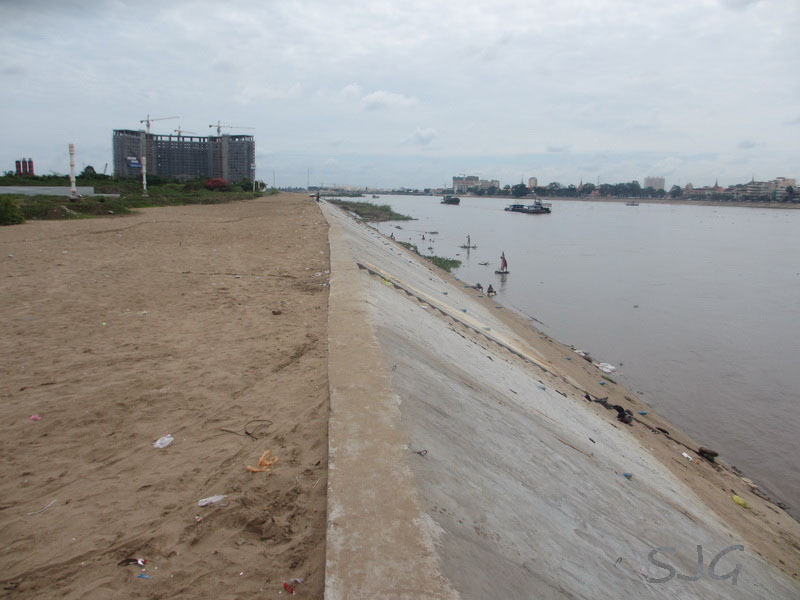 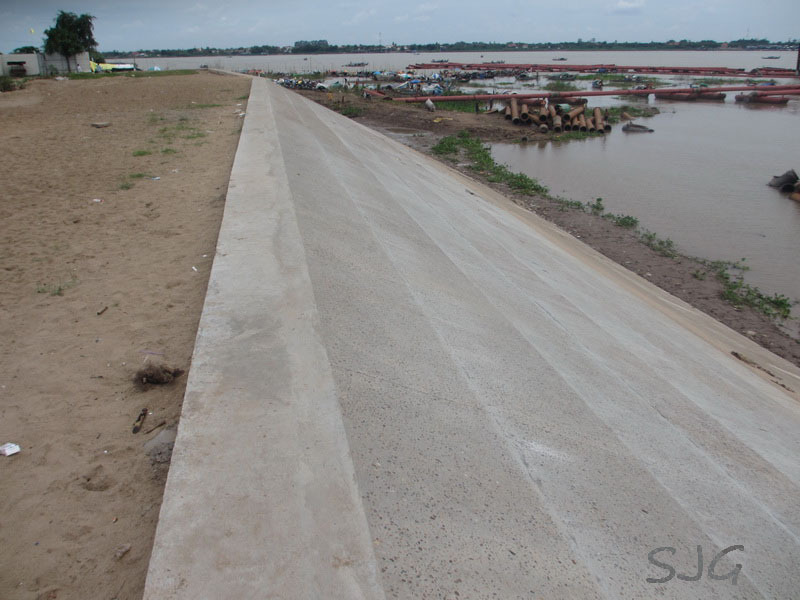 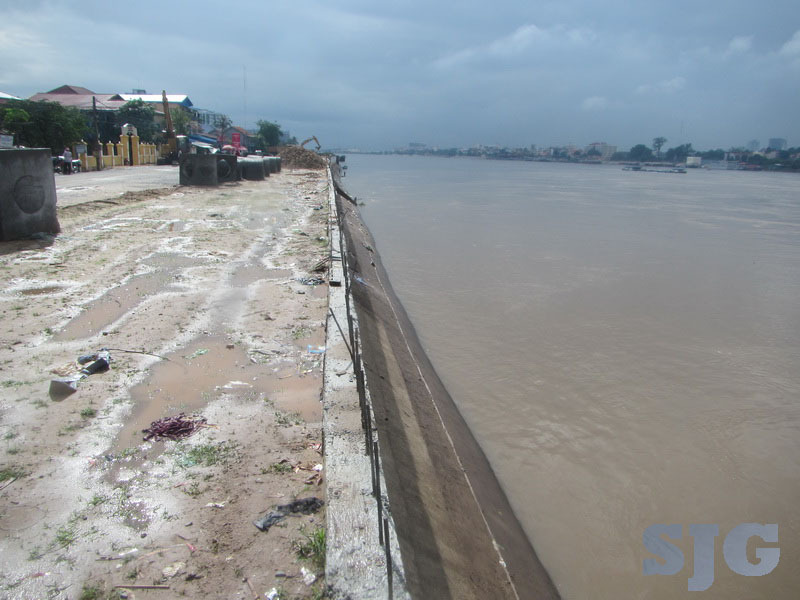 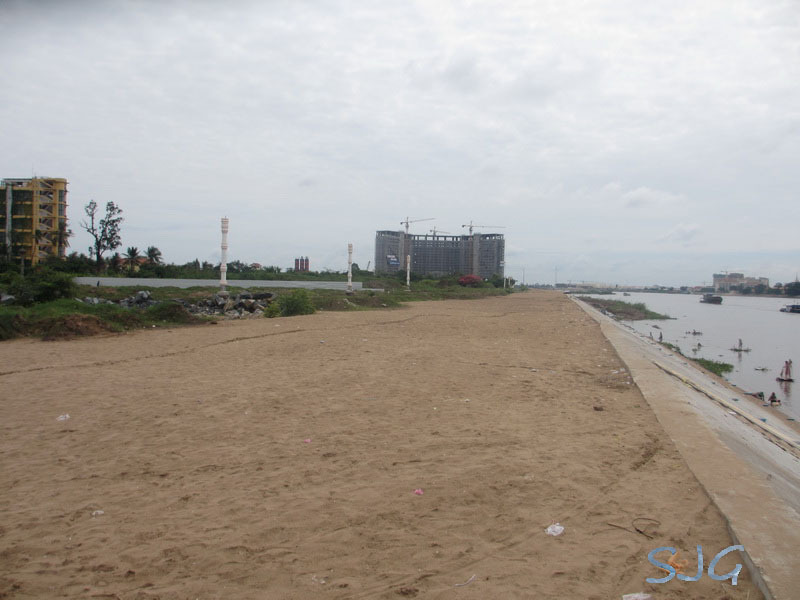 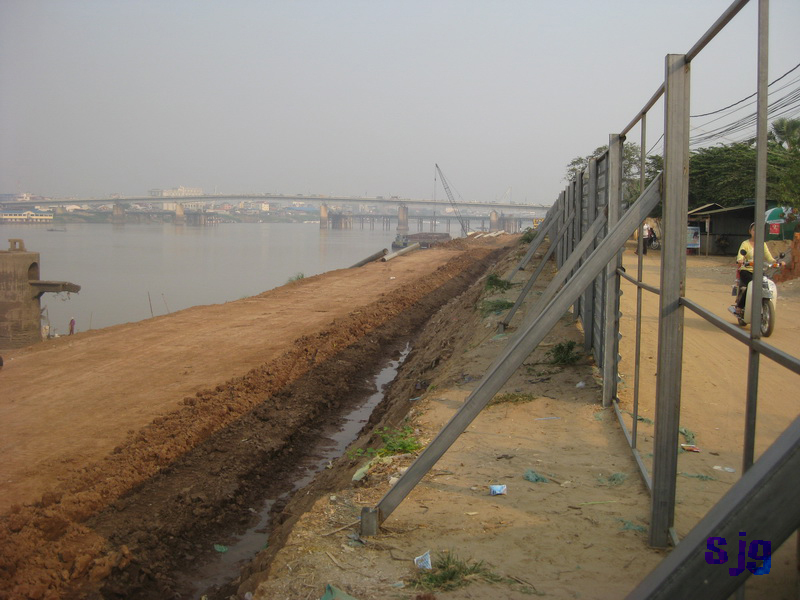 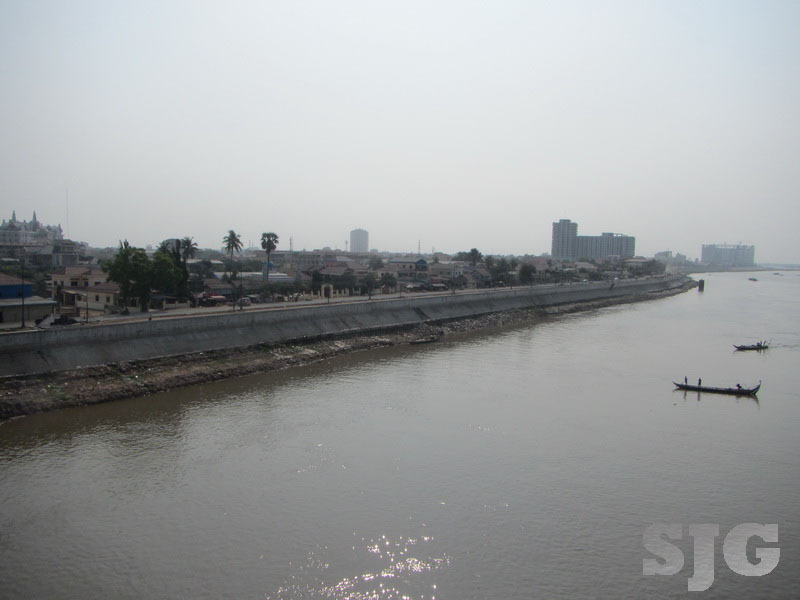 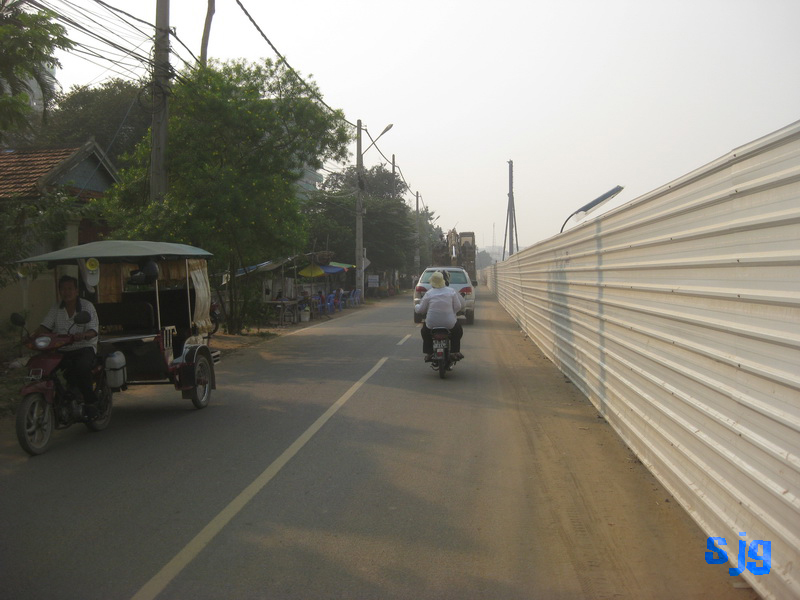 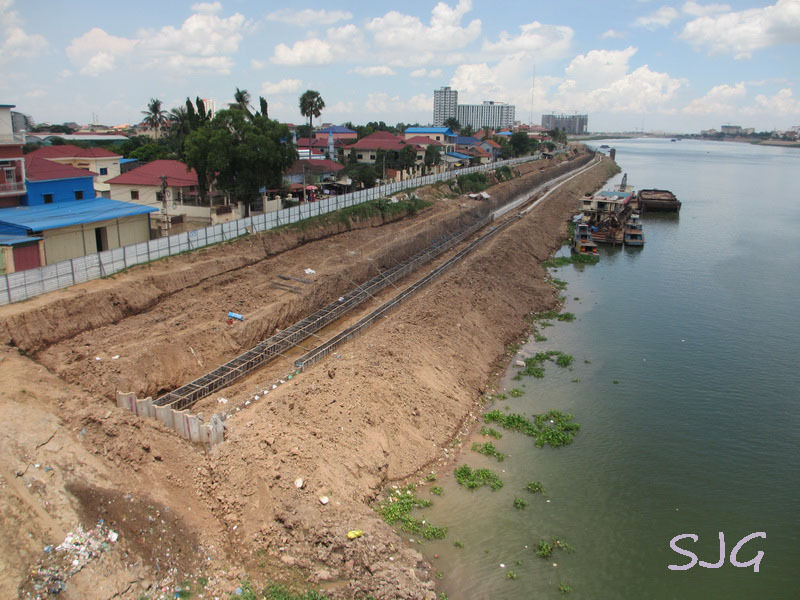 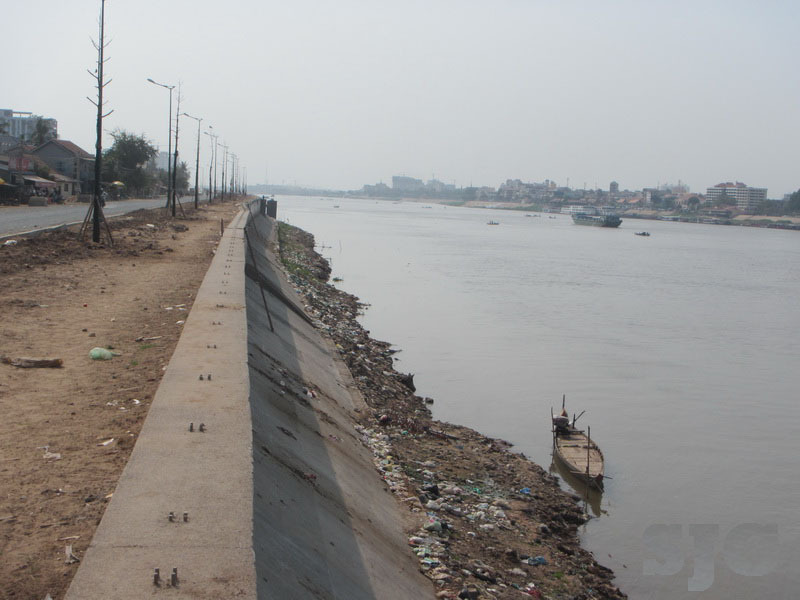 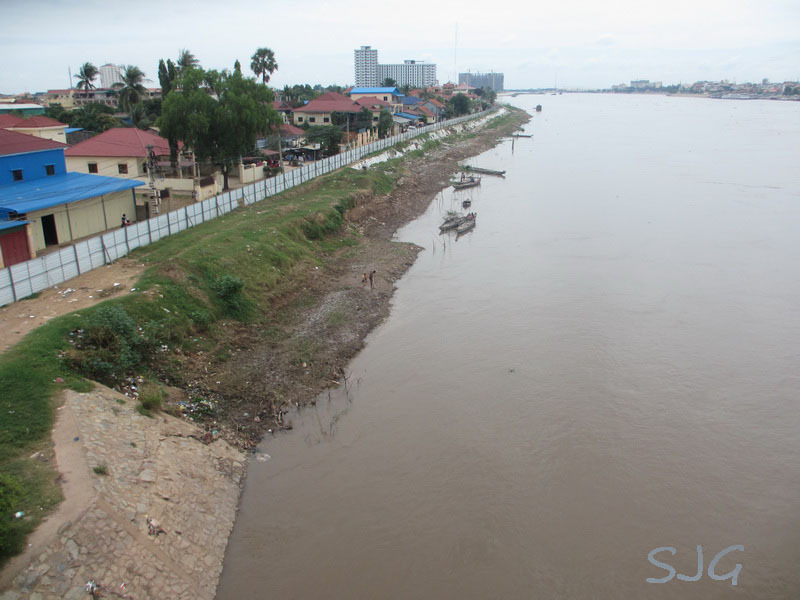 After the waters receded in the Tonle Sap river, work began on the chroy chang va riverbank again. 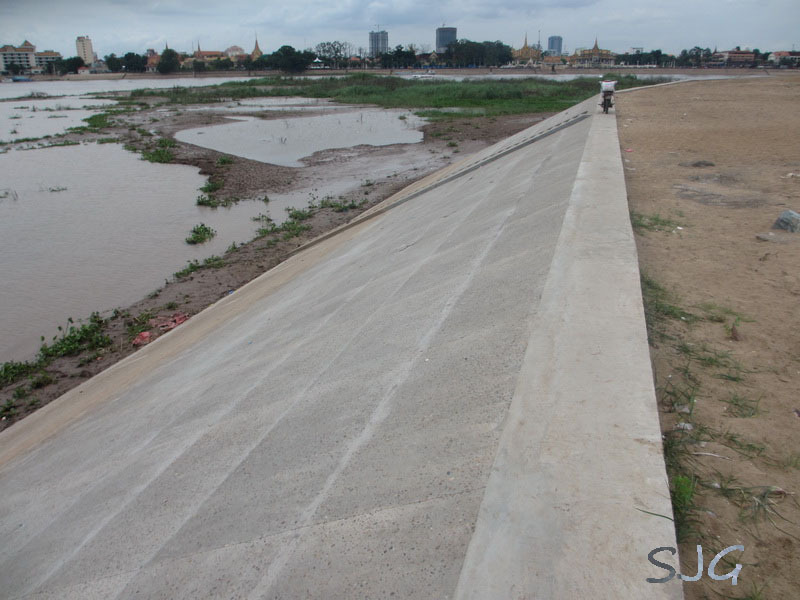 Progress continues and I bet they’ll have it done before rainy season. 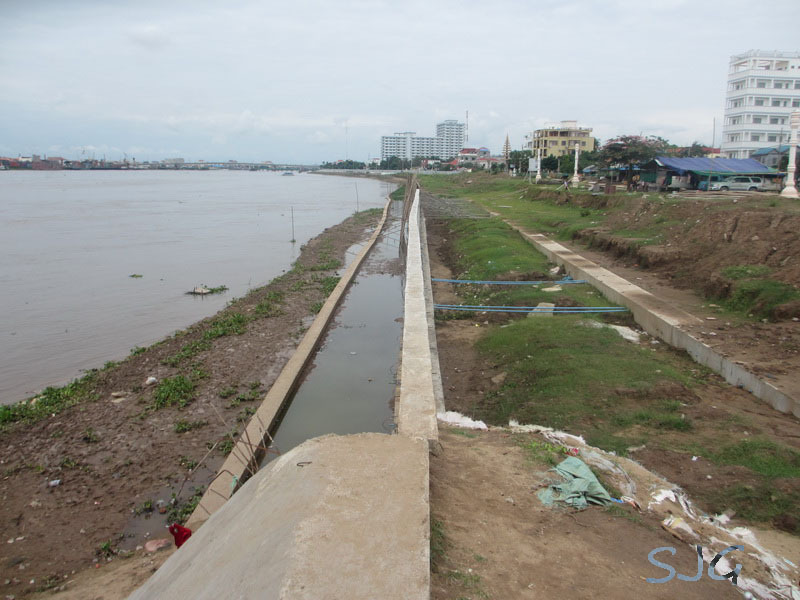 As part of the Sokha Resort project, the Chroy Chang Va riverside is being restored. 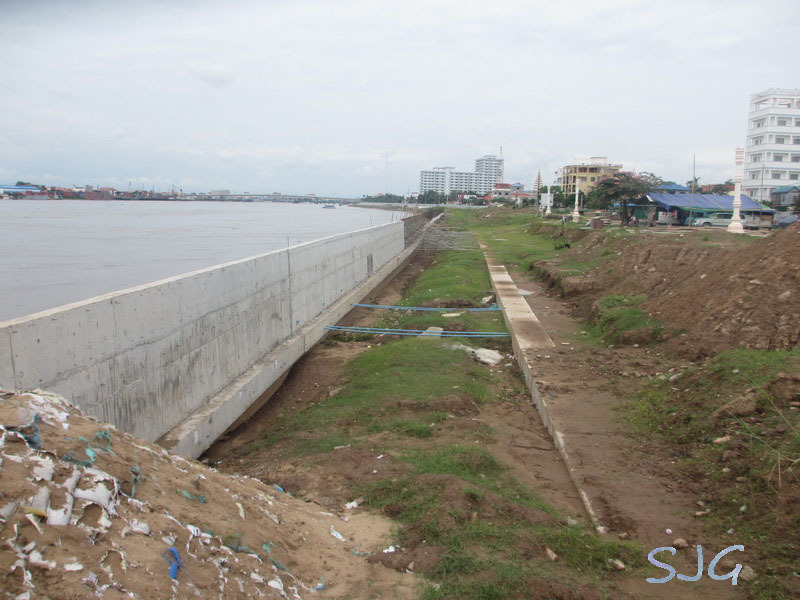 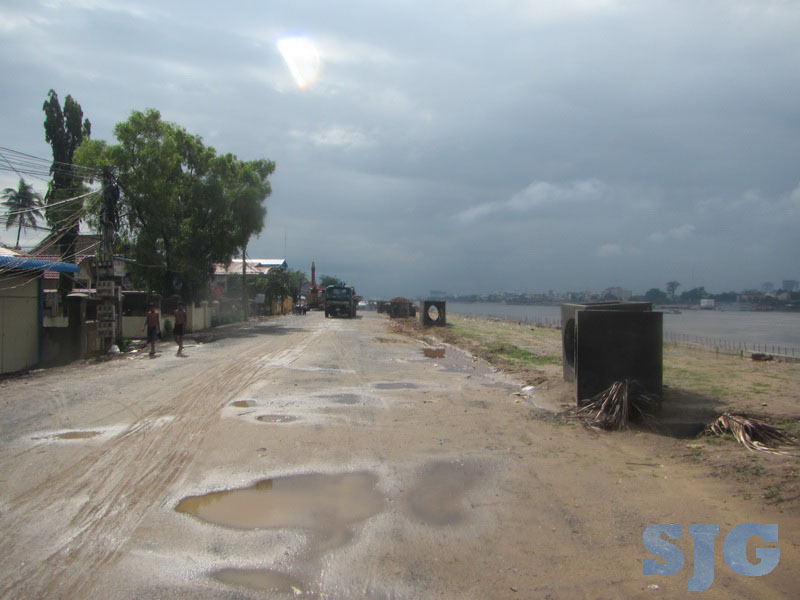 Although the construction is paused at the moment for high water levels, a huge section of the riverside has been finished and looks quite similar to the opposite side (PP main riverside). 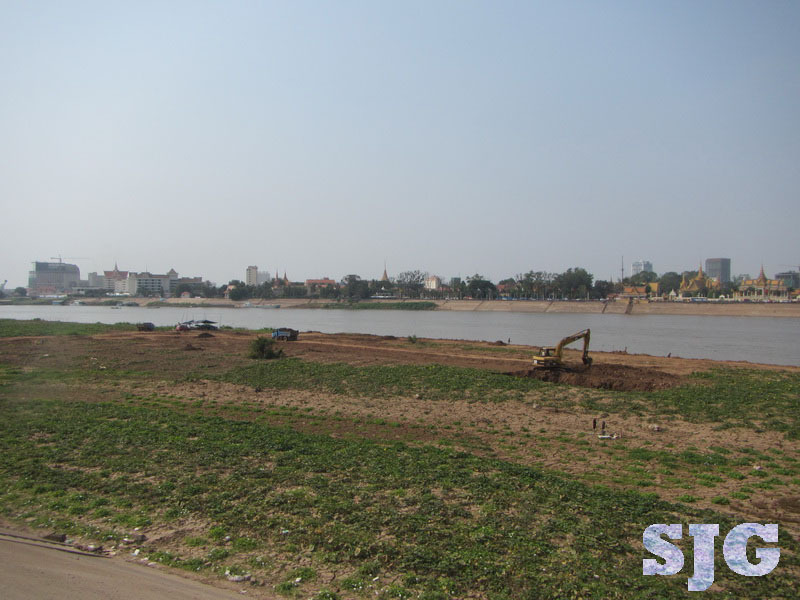 Work is moving fast on restoration of the riverbank across from PP riverside. 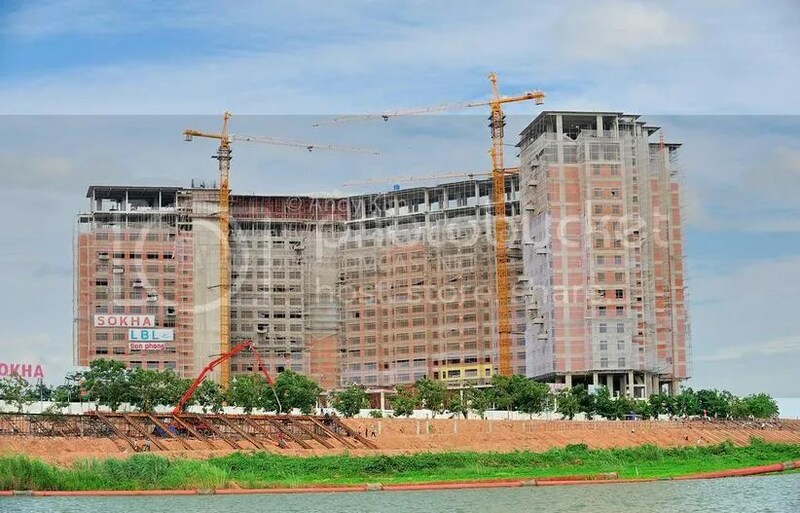 The facelift of the Chroy Chang Va (peninsula) side of Phnom Penh is coming along nicely with projection to finish by the end of the year. 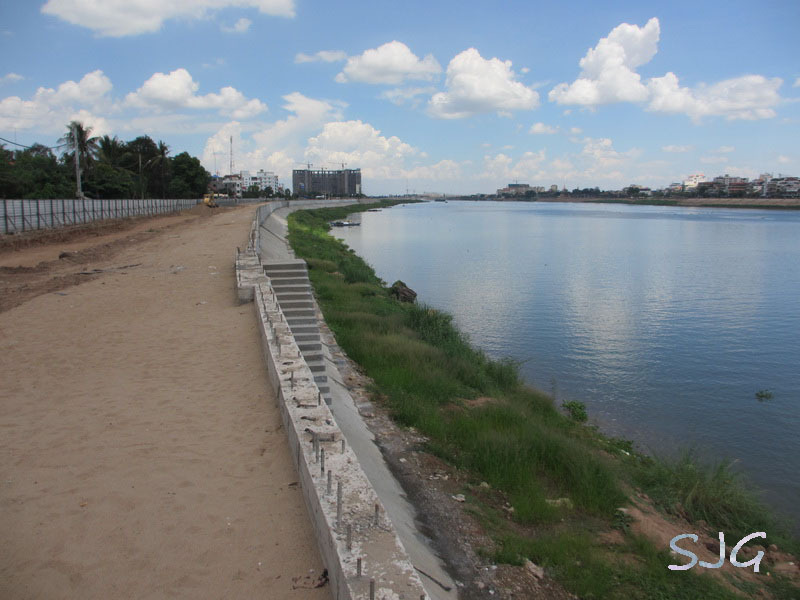 From the Japanese Friendship Bridge all the way to the under construction Sokha Resort, the riverside is being completely restored. 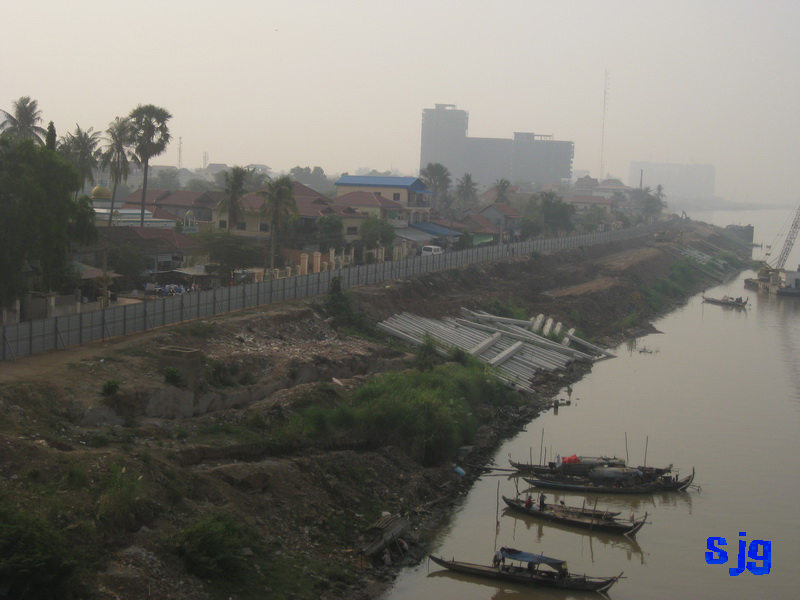 Most recently, they have erected a wall and evicted some small boat dwelling communities.